Parfumerie Générale is a curious outfit. Perfumer Pierre Guillaume has a penchant for heavy, gourmand orientals that very often sit precariously on the divide between the delicious and the indigestible. Personally, whilst I respect the quality and artistry of the PG fragrances I must admit that I find this style somewhat difficult to stomach and as yet haven’t found any of M. Guillaume’s offerings tasty, loveable or bottle worthy. Despite the fact that the brand is classified in my brain as ‘interesting but not for me’ I am always keen to see what PG is up to. Quality is quality right? And in this world where quality and innovation is often a second thought to the quick-buck marketing campaigns, true artistry is not to be scoffed at. Luckily for me my perseverance has paid off, as it is with his latest release Djhenné that Pierre Guillaume has won me over. As usual with Parfumerie Générale scents, Djhenné is a puzzle. It’s a fragrance that doesn’t reveal itself fully and each of the individual facets are so played down and subtle that it takes a while to fathom out exactly what makes it tick. This is partly the reason why I’ve fallen for it so deeply, it just keeps you guessing and each time I wear it I discover something new. Djhenné opens with subdued mint and lavender, both of which have a ‘blink and you’ll miss it vibe’ going on. I read somewhere that Pierre Guillaume doesn’t like lavender and wanted to create a lavender for his own tastes. 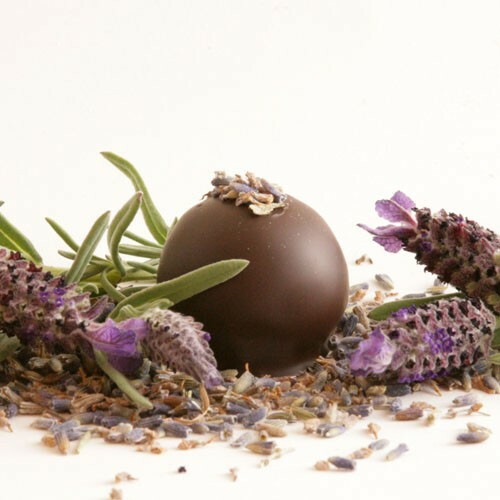 Smelling Djhenné this is quite easy to believe as most of the herbaceous, mentholated nuances of the lavender are removed completely leaving behind only the caramelised, burned aspects that make it so delicious. The central core appears to be the cocoa which adds a milky texture to soften the other, more angular materials. Thankfully PG has used a much more refined hand with the cocoa here than in other fragrances (I’m looking at you Musc Maori) and this restraint allows the note to act as a mahogany piece of silk that floats above the skin. With time the leather and wood notes become much more pronounced and in harmony they rub off one another to amplify a healthy dose of velvety vanilla. Underneath this there is a subtle level of skank reminiscent of warm skin that burns like warm embers and adds to the overall depth of the fragrance. The whole thing then does a bit of a 360 degree spin, as if to keep you on your toes, by bringing out the herbal, aromatic notes of the opening once again for a final bow. It really is fabulous! Djhenné is available in 30ml, 50ml and 100ml Eau de Parfum. The 50ml and 100ml can be found at Les Senteurs in the UK with prices ranging from £81.50-£117.50. Sample via Les Senteurs. Notes and quotes via Parfumerie Generale. Image 1 apetogentleman.com. Image 2 yingyangsuperfoods.com. Posted in Aromatic, Gourmand, Parfumerie Générale, Perfume Reviews, Unisex, Woody and tagged Aromatic, Cocoa, Djhenné, Gourmand, Lavender, Leather, Parfumerie Générale, PG22, Pierre Guillaume, Woods, Woody. Bookmark the permalink. I don’t know why, but I dismissed this one when it first came out. I looked at the notes and thought I probably wouldn’t like it, even though it seemed very different from the usual PG scents. From your description I may give it a try. I usually find PG scents too sweet and too gourmand for my taste, so maybe this will be the one for me. Maybe it will! I certainly feel the same about the brand as you, many of them are interesting but not for me in terms of wearability. Djhenné certainly surprised me. I’m yet to own a full bottle of a PG fragrance but Aomassai and Rose Brulure are faves from the line. Like you say, they are all of such high quality that a new release is a must-try. This one sounds really good but I’ll have to see what the level of mint and skank is like on my skin. Doesn’t sound too strong though. Glad you finally found a PG to love! @Tara – The mint is one of the best subtle-uses of mint I’ve encountered in a frag. (I’m usually VERY weary of it.) It would not even register as ‘mint’ mint, if u were not looking for it. And I found the ‘animalic’ quality equally very subtle. (I would not even go as far as call it ‘skank’ really) – just a light warm musk/leather accord. I think it would especially appeal to those who usually find PG’s scents a little too ‘rich’ & ‘dense’. Thanks Jules, that’s really helpful. Obvious mint is a deal-breaker for me. I do find quite a few of his scents rather too rich and dense for my tastes, as much as I admire them. Is Aomassai the coffee based one or am I thinking of a different one? The mint is definitely quiet, it’s more fresh than herbal and doesn’t smell obviously like mint. … Did not even ‘Tubereuse Couture’ pass muster … ?? I’m surprised too! I normally adore all that is brash and loud but there’s just something indigestible about most of his fragrances that I find intriguing but not compelling enough to wear. It’s a shame I must admit. I adore Djhenné! I find it deliciously dry and wearable. I completely agree with you about the touch of skank too. There is something very human about Djhenné, but in the best way. I do have to just note that I wouldn’t consider Djhenné a North African oasis, but a West African one (alternative spelling aside). I know that this is nitpicky on my part, but I studied abroad in West Africa at university in the neighboring country to Mali. When I first read about Djhenné, I immediately wondered if it would smell like L’Artisan’s Timbuktu. I love Timbuktu too, but I find it a little *too* reminiscent of West Africa. I can literally smell the bodies, the spices, the sweat and the animals to the point that I don’t find it that wearable. Djhenné on the other hand is just enough to make me nostalgic. Thanks for the wonderful review CPB! Glad to see this fragrance get well-deserved London loving! Fascinating take on Djhenné and Timbuktu for that matter. Do you find that having visited a place a perfume is inspired by alters your perceptions of it? Oh definitely! Regardless of the play on the name, or whether Regardless of its play on words or if Pierre Guilaume had or had not visited Djenné itself, I’m not sure if it’s possible to name a perfume after a real location and not have it be evocative to some extent. If PG wanted to completely avoid any comparison to Mali, he very well could have chosen any other word, including “oasis,” and made a play on that as well. What I do find remarkable, especially given the additional information provided by Jules below, is that he managed to create a scent that very much reminds me of West Africa without ever having visited. Anyone who has been to the region would recognize its “funk” — I don’t mean this pejoratively — immediately. I found it in Djhenné, and so did another friend who knew nothing about the name or the perfumer. Fascinating! It’s great to get the point of view from someone who has visited West Africa because otherwise our impressions are just imagined. You know, I don’t think Pierre expected the name to be taken quite so literally/seriously. I think he merely liked that while exploring the olfactory theme of an oasis, that it equally worked pun-wise with the French word for ‘henna’ (henné). Like he did with his previous one Myrrhiad and myrrh. This is what he said when asked if he meant the city in Mali – Djenné. And I quote : “No, no! I have never been there and I don’t want any comparisons with this Malian city. It’s just a metaphor. I meant a fresh accord surrounded by hot sand. ‘Oasis’, a lazy hot atmosphere, and a little bit of freshness in a hot desert. The artistic imagination is certainly amazing! I like this one, and I don’t often go for the PG line; they usually wear too sweet or cloying on me. Djhenne’ has Timberol in it, I’m pretty sure, which gives it that “fire without smoke” dry-hot quality, so it’s not gourmand at all. It’s very aromatic and unusual. Great review! Sorry ‘masha’, my apologies ! 🙂 – Somehow I incorrectly read “I’m sure”, when the essential missed in-between “pretty” makes all the difference. – So I though u were in fact SURE sure, so just wondered how, and how certain. (And wether I could from now on take it as fact). … Also, I was just surprised, as whilst pretty familiar with Timberol myself, I did not pick up on it. – HOWEVER, that might very well change now that u’ve brought my attention to it. OOOooo, if you have a chance to ask him that, please do! If it’s not Timberol, I’d love to know how he got that fiery/dry effect…! It’s terrific. OH & Thomas – please do forgive me for TOTALLY ‘ambushing’ this thread. I’m a big fan of Coze, and I have been interested in other PG offerings but I have not yet tried much of the time. If a sample at luckyscent is $3 (it might be $4 now), then how much will it cost to try the entire line? $186? I’ll be in Hamburg in 2 weeks and there’s a perfume store that sells the line so I will finally get to try some others. So I am very pleased to see that you didn’t write a review saying PG is for cheapos with no taste. This review really helped my self esteem. I definitely wouldn’t say that the PG scents are cheap or feel as such. As much as some may be a bit too thick and gluttonous for me they are exceptionally well crafted and far from being cheap tat. Sometimes I think perfume people, especially those on the forums think that the correlation between price and quality/art is much stronger than it really is.